George Reynolds of Letterfian, near Lough Scur, In Co. Leitrim was the first to encourage Carolan in composition, the result being 'Sheebeg and Sheemore' (no. 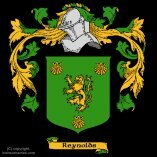 202) Probably he was a grandson or great grandson of Humphrey Reynolds of Lough Scur, who married Russell, the daughter of Sir James Ware, of Dublin. Notations are courtesy of Carolan, the Life and Times of an Irish Harper by Dónal O'Sullivan v 1 p 247 Celtic Music Edition 1983.